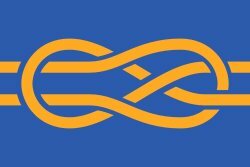 Design The flag is white and has the city seal in the center, with flowering lilac branches at each side. The seal contains two concentric circles with an image of Mt. Hood in the center, reflected in a lake. 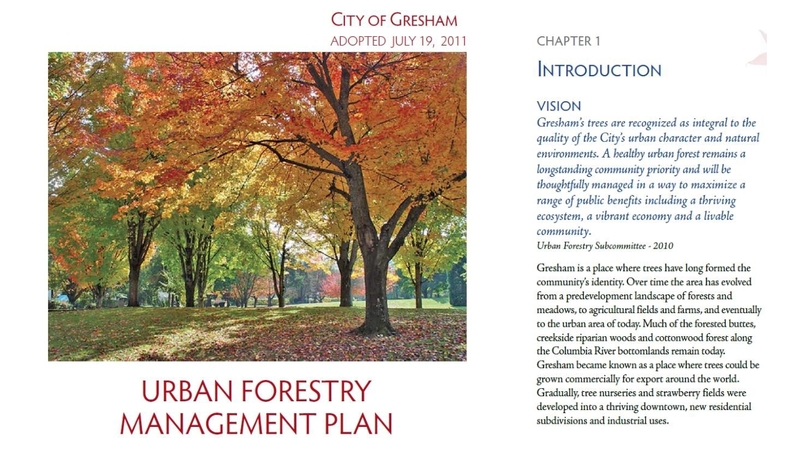 Curved within the top part of the ring is the name “City of Gresham”. Curved in the lower part of the ring is the date “1905”, preceded and followed by three strawberries. All decoration and printing on the flag is in lavender. 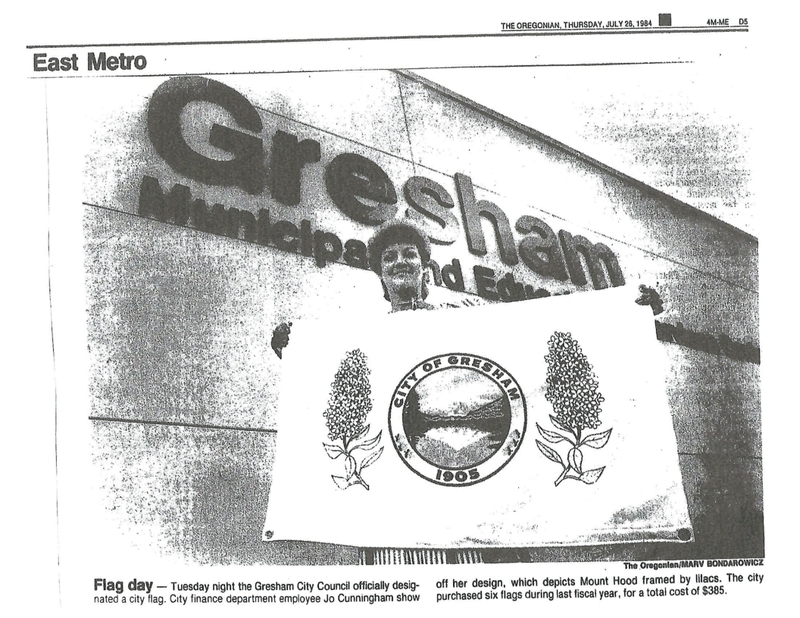 Symbolism Gresham was incorporated in 1905, and lies about 40 miles west-northwest of Mt. Hood, Oregon’s tallest peak. Lilac is the official city flower. Strawberry fields were once common in the area. Designer Judy Wylie conceived the design. Jo Cunningham drew the artwork. 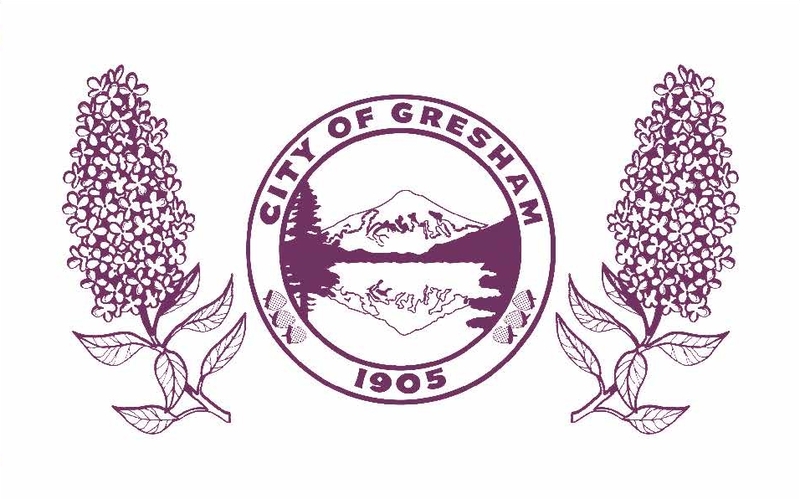 There is a variety of lilac named City of Gresham, but its appearance does not match the flag’s artwork.